When you're considering upgrading, replacing or adding a new vertical form fill and seal bagger it's important to find the best machine for your application. Obviously at Rovema we're a bit biased, but we're also realistic. You'll consider various options, and work to carefully select the machine that's the best fit for your requirements. Sometimes the range of options and features seems almost overwhelming. So we've created a chart that you may find is handy to help compare options. Call it a maturity model, a rubric or a framework - use whatever terms works for you. This chart outlines common attributes for basic, intermediate and advanced categories of vertical baggers. Then it offers a space for you to capture comparative notes on up to three machines that you're considering. 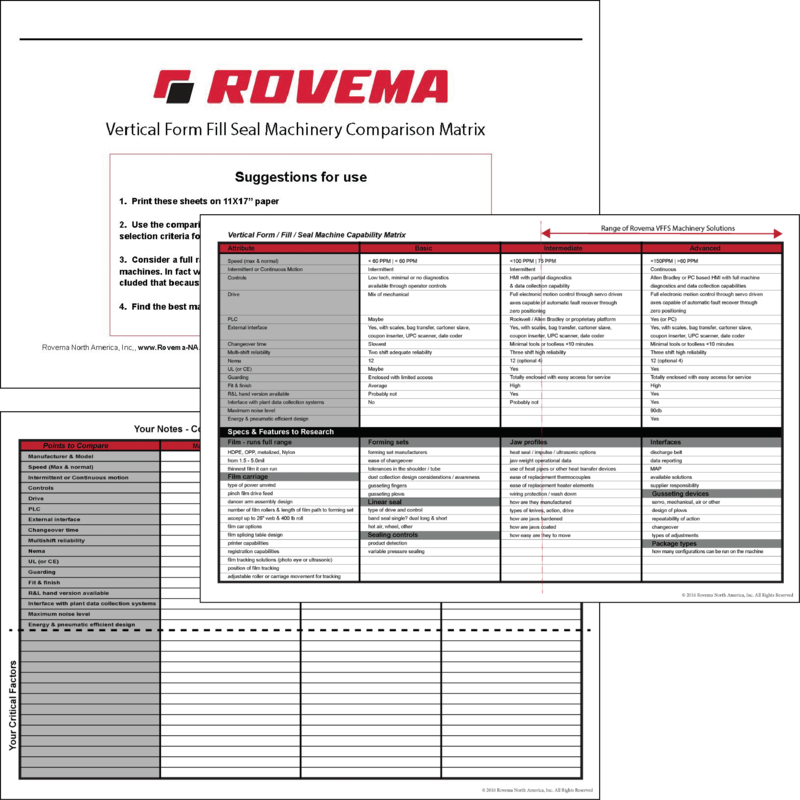 Of course we hope that Rovema's on that list - but we sincerely hope that our educational resources and tools like this help you pick the perfect machine for your requirements! Just fill out the short form to download your copy.